List containing auxiliary audio applications and tools that could prove useful in enhancing the audio experience. Page will be periodically updated. SoundLock Set the maximum output volume that sounds can be at. Useful to limit the volume of loud noises in movies or from other applications. Works on Windows Vista and newer. ASIOConfig ASIO configuration viewer and changer that can be used when you can’t access the ASIO configuration through the audio player. SoundVolume View Provides detailed view and control of Windows Volume Mixer entries. Allows a finer tune of applications volume levels and offers the ability to save them as different profiles. Works on Windows Vista and newer. EqualizerAPO A parametric system-wide equalizer. Works on Windows Vista and newer. HeSuVi Headphone Surround Virtualizations for Equalizer APO. Works on Windows Vista and newer. ASIO4ALL Universal ASIO driver. Can be used instead of the ASIO driver included that’s included with audio card drivers or if a ASIO driver is not included with your audio card drivers. MicMute Mute microphone with a keyboard shortcut or make it work only when you press as key (push-to-talk for any application). RightMark Audio Analyzer Test the audio performance of the sound card or speakers. Using a audio loop cable you can test the audio performance of your sound card and between various playback settings. Can test various playback outputs DirectSound, ASIO or Win Sound(WASAPI) at different playback settings (sample rate, bit rate). Can be used to test the frequency response of speakers. Tip: If latest version crashes you could try a older version like v6.4.1 or v6.3.0. Tip: Settings for sound card benchmark. Full setup guide here. 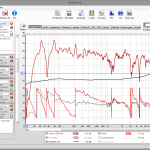 Room EQ Wizard Software for measuring and analyzing room and loudspeaker responses. The audio analysis features help you optimize the acoustics of your listening room, studio or home theater and find the best locations for your speakers, subwoofers and listening position. Audacity Audio editor, recorder and analyzer. Can reduce or isolate vocals. Add various audio effects. Can be used to measure input latency for an audio card and its drivers and between multiple recording inputs MME, DirectSound or WASAPI (guide). I don’t own anything announcing it nor I have any kind of relations with the development of this software. It’s just something that turned to be very useful with time and deserves to be shared. Thank you for the suggestion. Will look into it. CarvedInside: Thank you for the suggestion. Will look into it.